We at BEST USMLE TUTOR know that Preparing for the United States Medical Licensing Examination USMLE Step 1, USMLE Step 2 CK, Step 2 CS and USMLE Step 3 can be Very Stressful for some Medical Students and Resident Doctors. 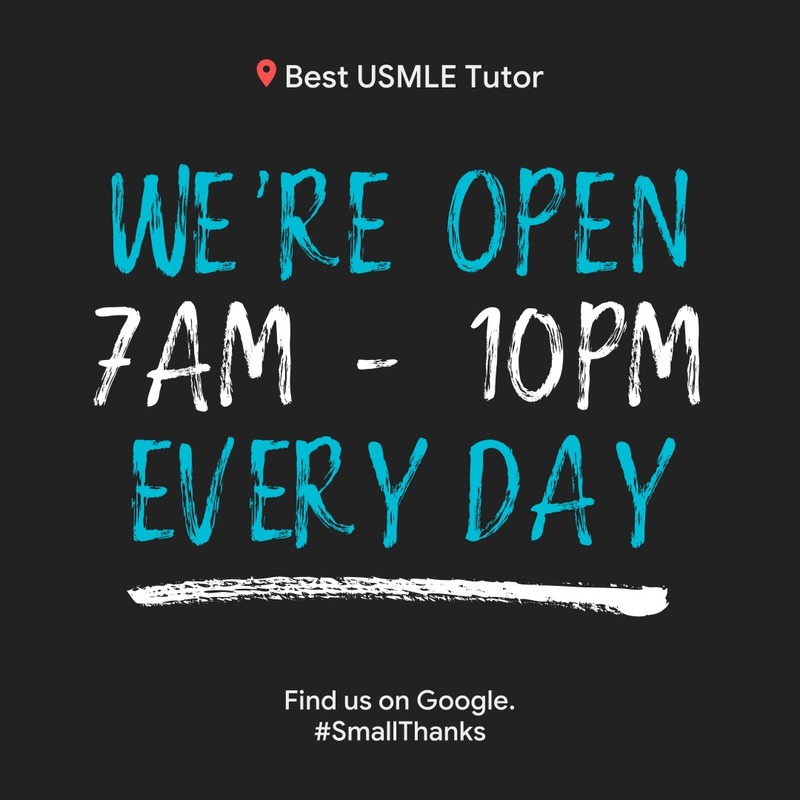 We offer the Best One-on-One USMLE Tutoring and for it to be Most Effective, we have made it Cutomizable, Highly Adaptive, Intuitive and Comprehensive. 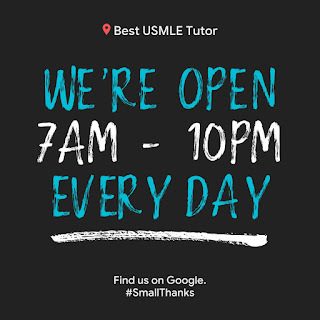 If you have been looking for the BEST USMLE REVIEW COURSE, look no further and watch the Video Below and Read our Student Reviews and Schedule your Free Live Online USMLE Tutoring Demo today by calling/Texting us at +1 (803) 493-5573! We understand that USMLE Scores are Extremely Important for Medical Students and Doctors and that you Deserve the Best Available USMLE Step 1, Step 2 CK, CS and Step 3 Tips, Strategies, Study Plan, Guidance and Mentoring and Tutoring that can help you reach Awesome USMLE Step 1 and Step 2 CK Score and to Pass USMLE Step 2 CS and USMLE Step 3 in 1st attempt. 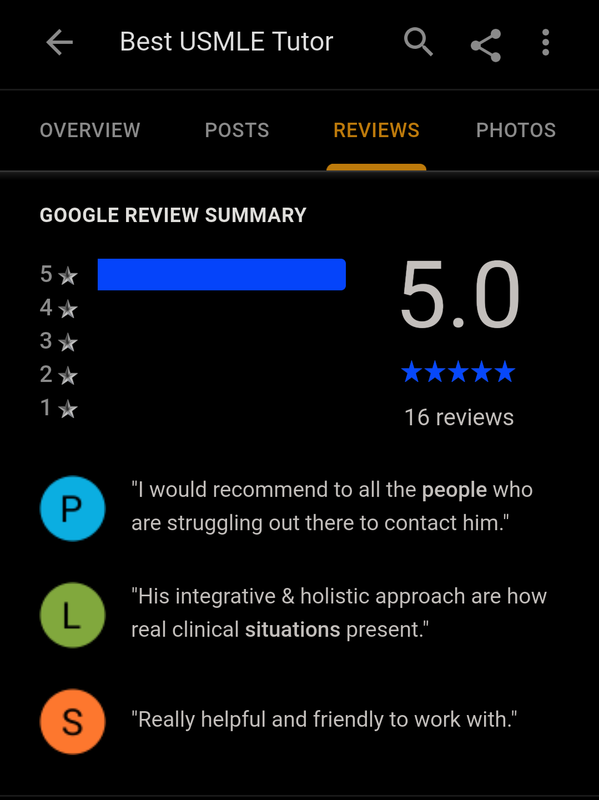 We understand the each Medical Student and Doctor learns differently and their One-on-One USMLE Tutoring Student Needs can differ substantially. 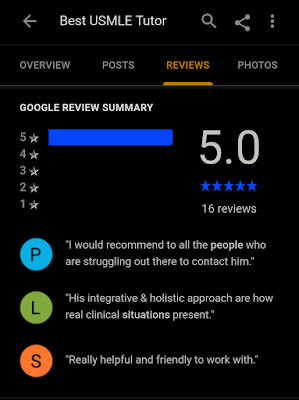 Therefore, our Live Online Adaptive Individualized Custom Personal 1 on 1 USMLE Tutoring with Dr. Harish Malik is designed and delivered keeping in mind each Students Needs, their learning Style, USMLE Score expectations and Time and Budget constraints. Watch the Video Below in which Dr. Harish Malik explains How and Why BEST USMLE TUTOR's One-on-One USMLE Tutoring is Significantly Different and Unique and Gets the Medical Students and Doctors to their Best USMLE Score in the least amount of time! We achieve this in only a few weeks by Focusing on Building Student ability (Not Just provide Content) to Comprehend, Integrate and Retain Vast amounts of High Yield Medical Information quicker and longer without having to Cram a lot by using our Common Sense Real Life Analogies Approach to understanding Medicine. Our Adaptive, Targeted Clinical Vignettes style MCQ Answering Skills and Strategy Based Online One-on-One USMLE Tutoring Review Sessions have been transforming the lives of Medical Students and Doctors Globally who now look at Medicine and USMLE Preparation as Not only being Very Easy but a whole lot of Fun and have Rediscovered their long lost love for the Art and Science of Medicine, thus restoring their love of Humanity! 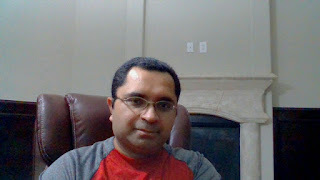 BEST USMLE TUTOR's Novel and Revolutionary FIDR (Focused Individualized Diagnostic and Remedial) Sessions are conducted in a One-on-One (in-person or face to face via Skype) Setting and utilize Critical Goal Directed Gathering of Pertinent Individual Student Data in a very Focused manner in order to Diagnose and troubleshoot (Remedial) very specific individual Student issues. Once the Remedial measures are agreed upon, the actual teaching, learning and USMLE, COMLEX, Shelf Exam or individual Medical School Subject Exam specific test taking strategies are discussed in great details with each student. 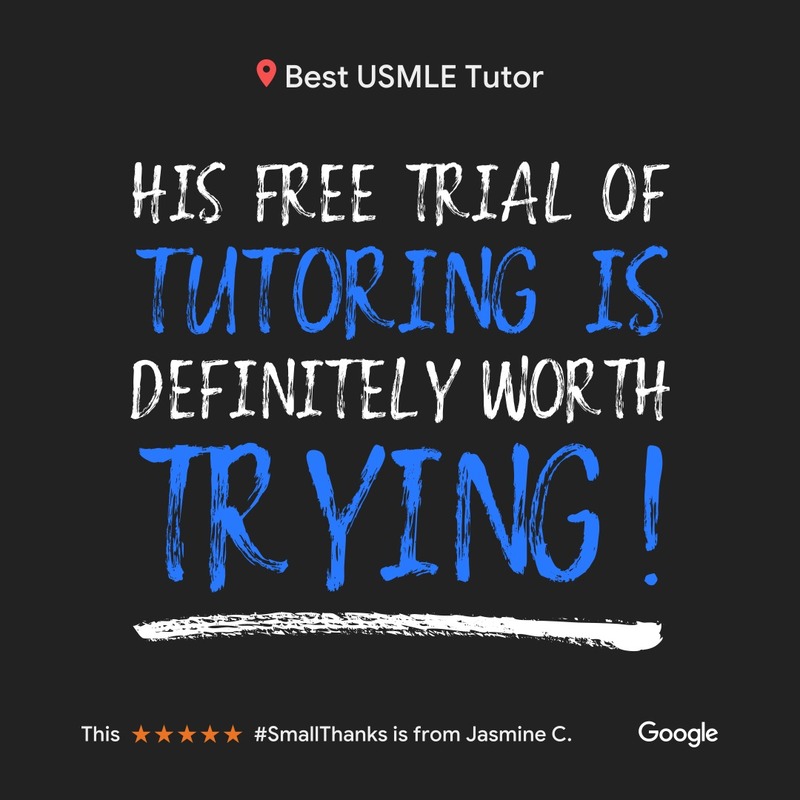 We Invite You to Call us at +1 (803) 493-5573 to Schedule your Free USMLE Tutoring Demo to Experience the Amazing and Unique USMLE Tutoring Style that We have developed so that Everyone can Reach their Highest USMLE Score Fast! 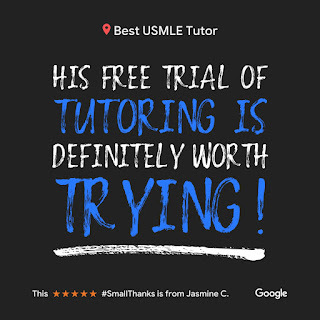 BEST USMLE TUTOR is the ONLY Comprehensive as well as Adaptive Targeted MCQ Skill and Strategy Building One-on-One USMLE Tutoring for USMLE Step 1, USMLE Step 2 CK, USMLE Step 2 CS, USMLE Step 3 in Houston, TX (Now Available Globally via Skype). Porter (Near Houston), TX, USA.